Getting the job is so difficult without having a professional resume in your hand. A good resume is the key to get the job which you deserve. 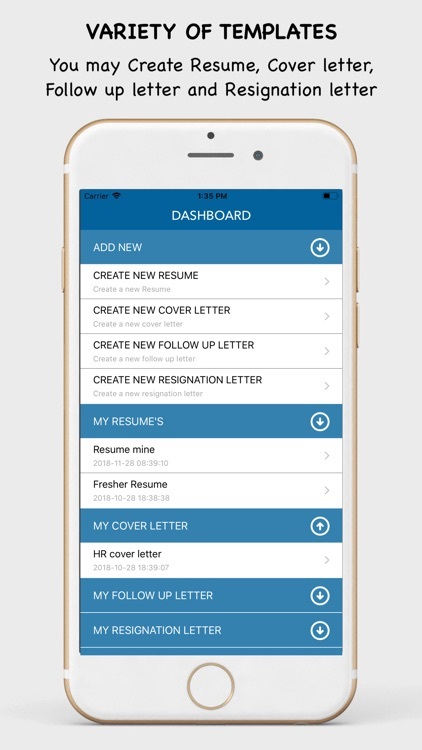 My Resume Builder App lets create a simple, beautiful and professional resumes in minutes. It is so simple, quick to create a great resume in click. There is no any step-by-step process to enter your information in the fields. First choose your resume template design which is pre-written with examples. 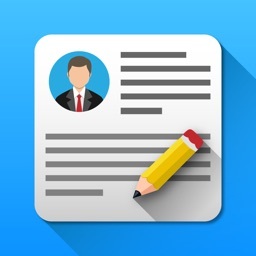 From resume template directly tap or click on the particular section which you want to edit like contact information, objective, educations, work experience, skills and other sections directly. 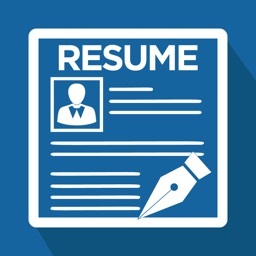 After editing your information save it, which generate your resume in PDF format. 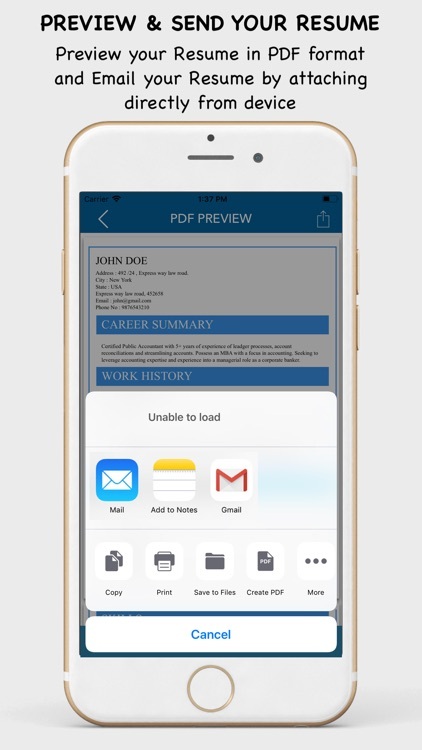 After generating the PDF, the application allows the user to preview the resume to confirm and then share your resume to prospective employers through mail as attachment. 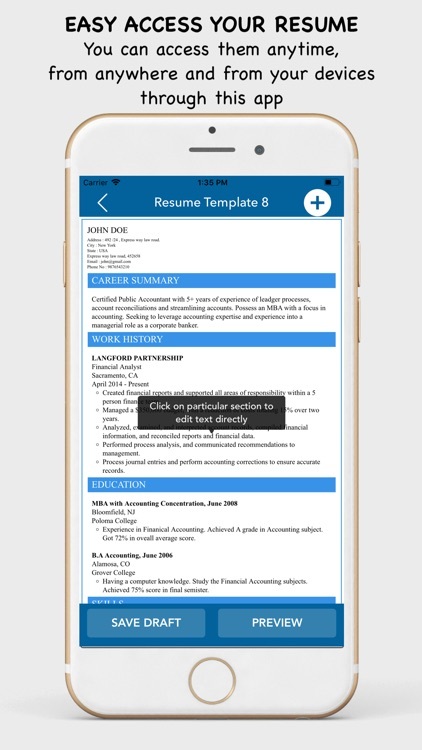 Make use of our Resume Builder app to build a perfect resume for your perfect career. 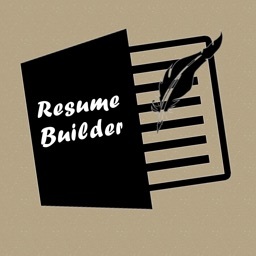 -- Simple, quick and easy to create a great resume. 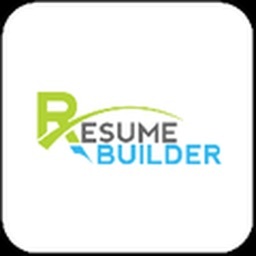 -- Create a multiple resumes for different jobs to apply. -- Simple interface to edit all your information in one place directly from pre-written sample templates. 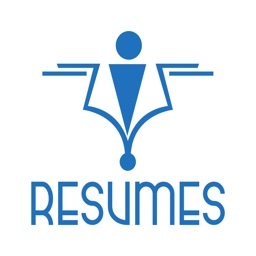 -- Save and Preview your resume in PDF format. -- Send your resumes through e-mail attachment. -- Add a module or sections by copying the text, paste, edit it. -- Apply the text format bold, italic and underline by selecting the text directly from chosen template. 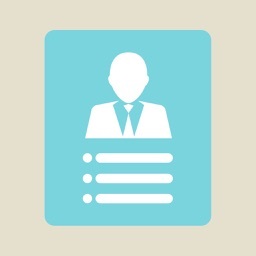 -- Create a cover letter by choosing a custom letters. 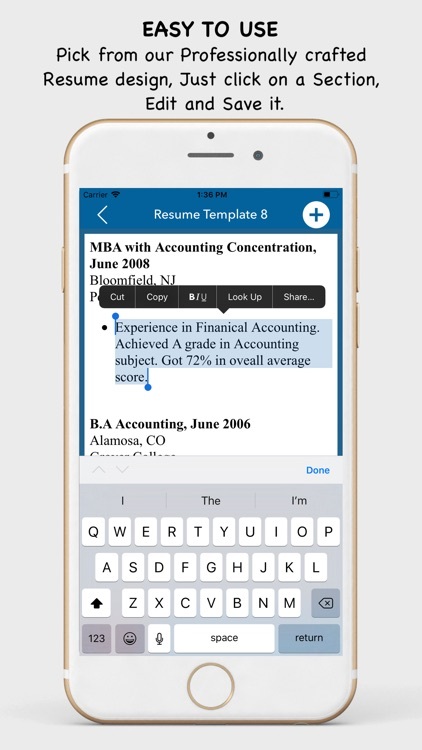 -- Directly take a print of your created resume from device. 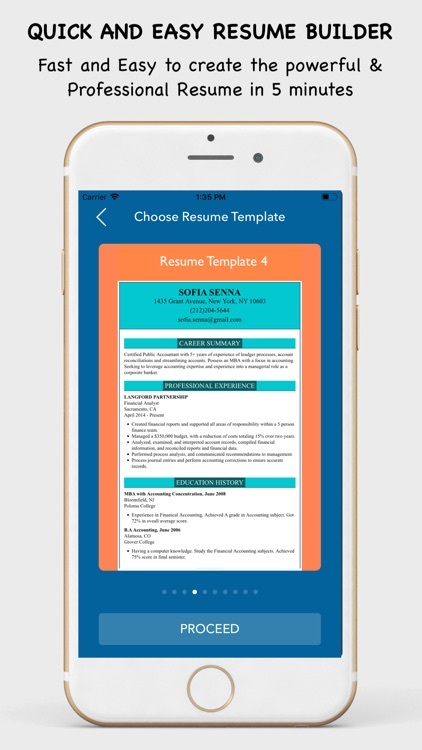 -- My Resume Builder App provides First 5 Resumes Templates as Free and for other Templates need to upgrade full version of the app by purchasing USD $0.99 only.